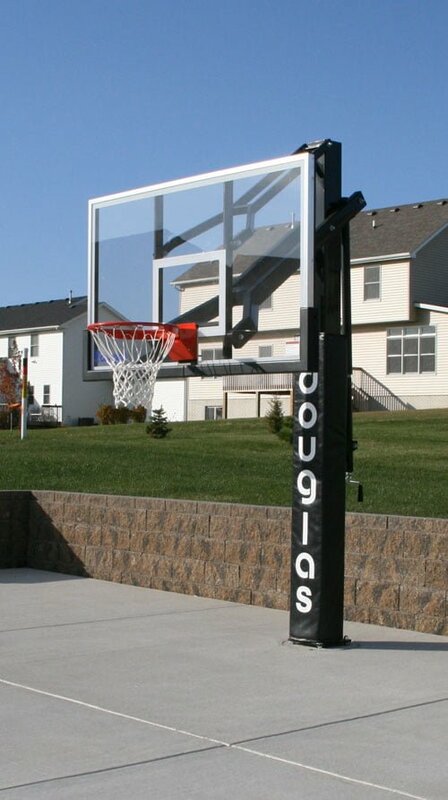 Durable 36” x 48” size Rectangular clear acrylic backboard. 3/8” thick shatter proof clear acrylic is fade resistant and will never fog or cloud. The acrylic is also highly resistant to scuffs and abrasions. 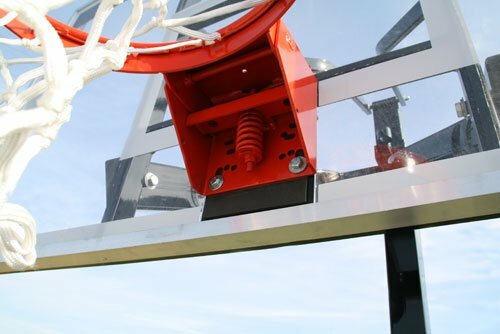 Backboard is encased in an all aluminum frame, completely supported by a welded steel back frame. 10 Year limited warranty. 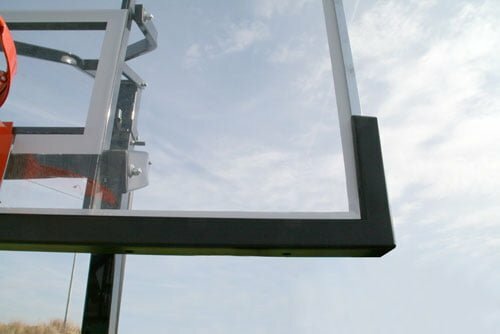 tempered glass backboard with an aluminum perimeter frame for increased rigidity and a professional finish. Printed white border and target. Board is completely supported by a welded steel back frame. 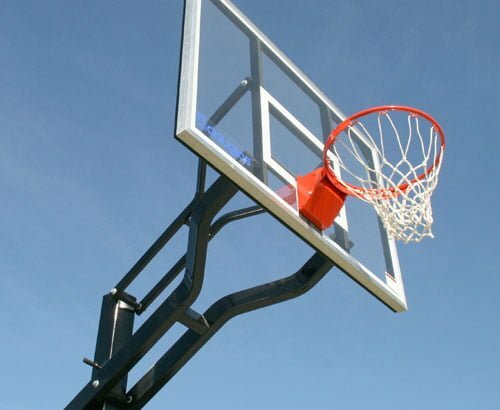 Center reinforcements provide a true rebound and eliminates dead spots. 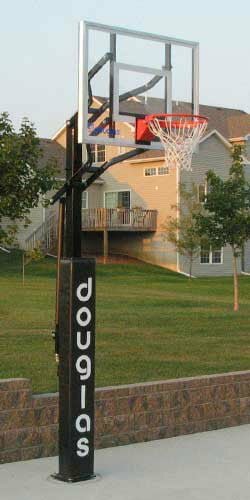 Black, molded vinyl backboard padding is pre-installed. 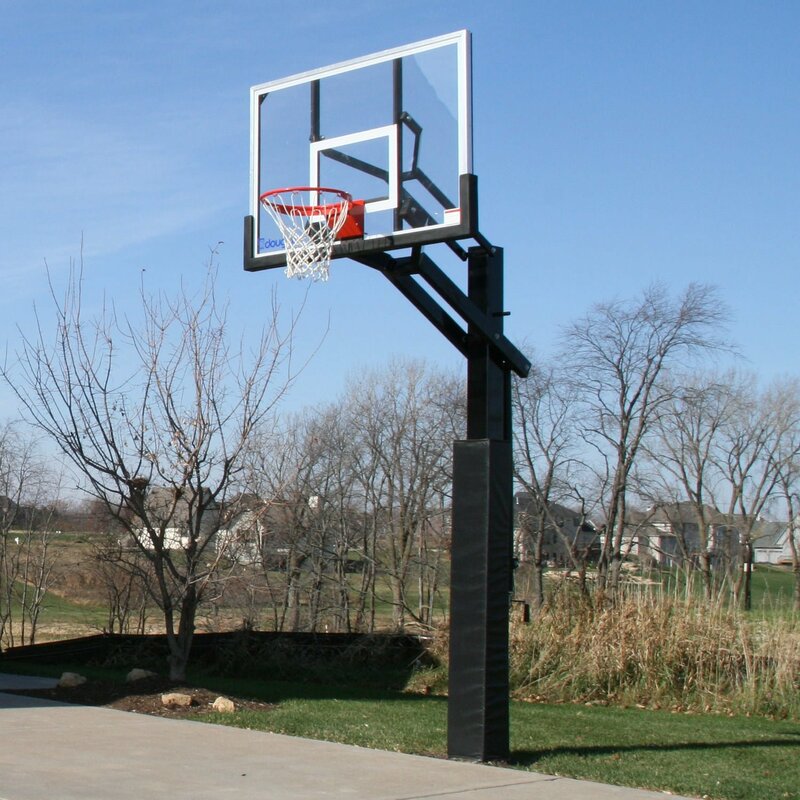 The PRO-434 () is only available with an acrylic backboard. Strong reinforced 3′ extension arms overhang. 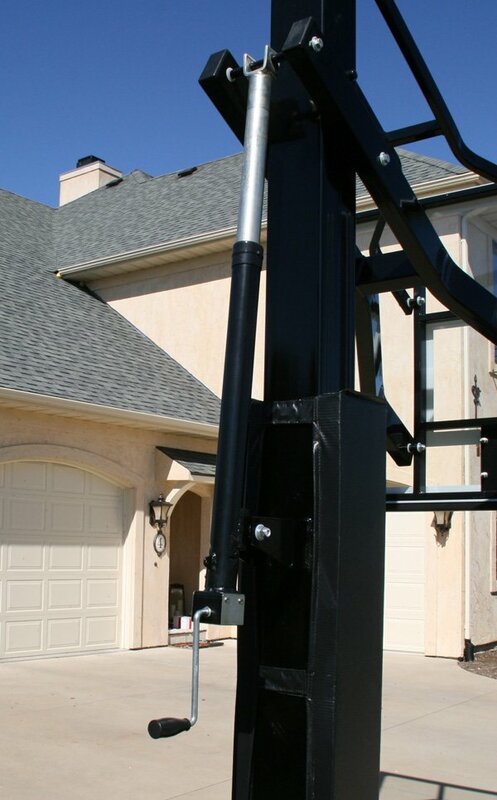 Top and bottom extension arm is 1” x 2” steel. Finished with black acrylic powder coat to prevent chipping and provide the ultimate corrosion protection against the elements. 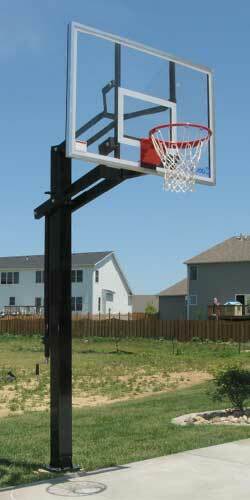 Constructed from 4” square structural steel with a 1/8”” wall thickness. 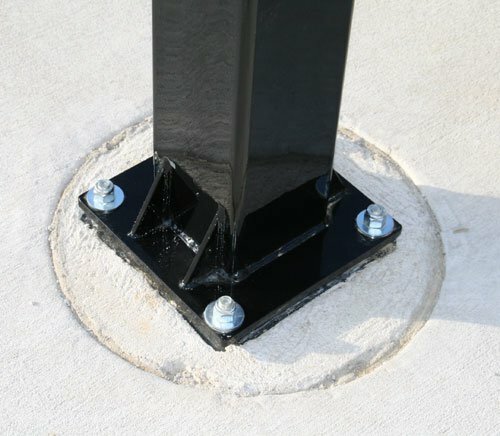 Pole is finished in an attractive black acrylic powder coat to prevent chipping and provide the ultimate corrosion protection against the elements. 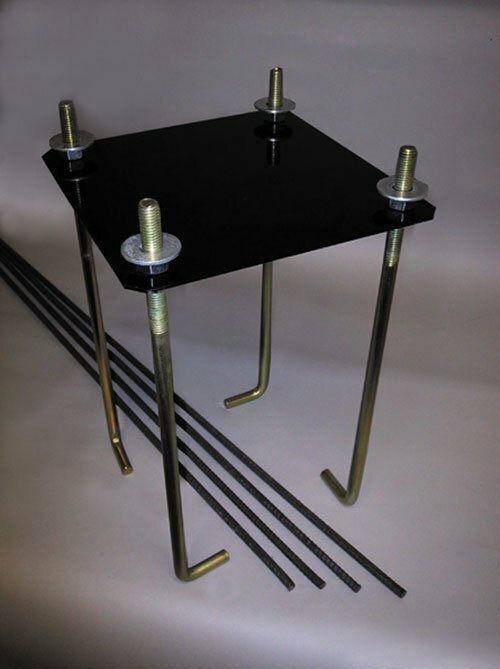 Pole is a one-piece construction with welded base gussets for increased stability. Pole Includes wraparound style protective padding. 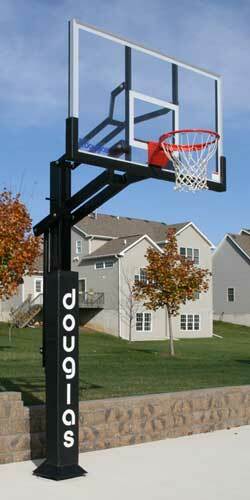 Please contact me with more information about: "Pro™-434 Adjustable Basketball System".